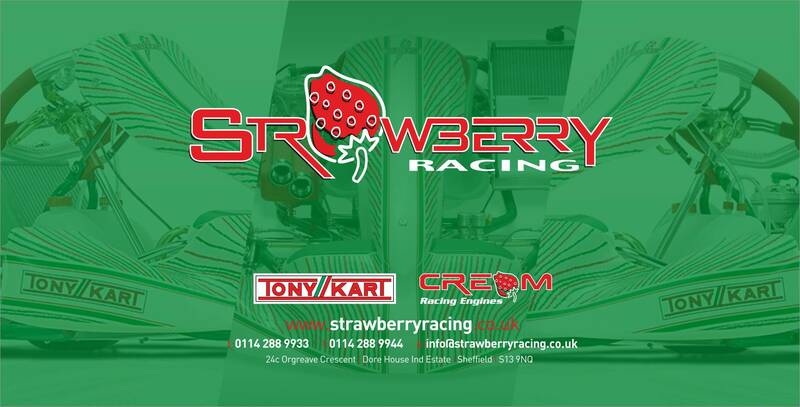 Strawberry Racing approached MDM Designs in changing their advertising design, ready for promoting the Tonykart Chassis, Cream Racing Engines and the Vortex DDS OK / OKJ Kart Engine for the 2017 Season. Every year, various kart circuits and championships across the UK offer advertising space in their race day programmes, championship brochures and advertising hoardings on the side of the circuits - which businesses can utilise in order to advert and gain awareness for new products, race team space and more. Strawberry Racing requested a full revamp of their advertising designs for race programmes and advertising hoardings visible track side. The previous design was a minimalist approach, with a single large dark image of the Tonykart 401 Chassis that was displayed in the race programmes. 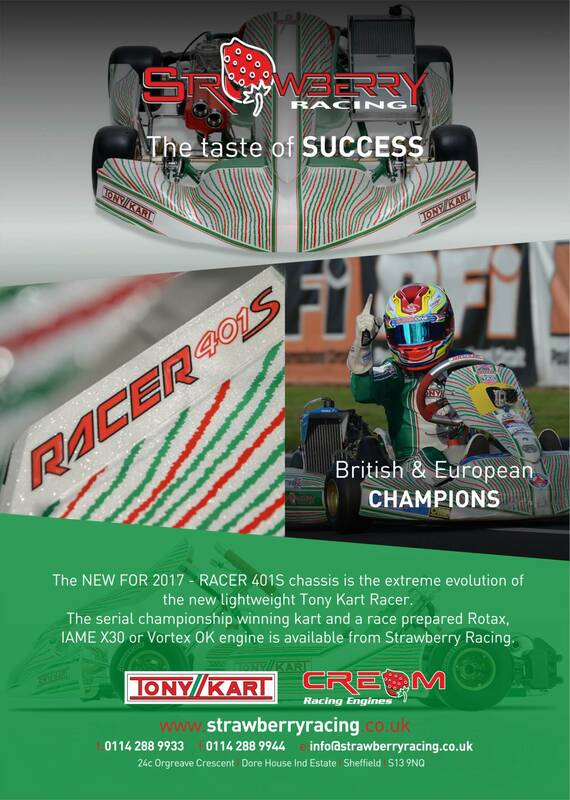 The brief was to make a class leading design for the multiple British and European Championship winning team - that reflects their class leading kart racing results, whilst including plenty of images and the colours used by Tonykart and Cream Racing Engines. The design style went for a modern diagonal approach - referring to the design styles used by the Tonykart Factory Team and modern web designs we had prototyped up for future clients. 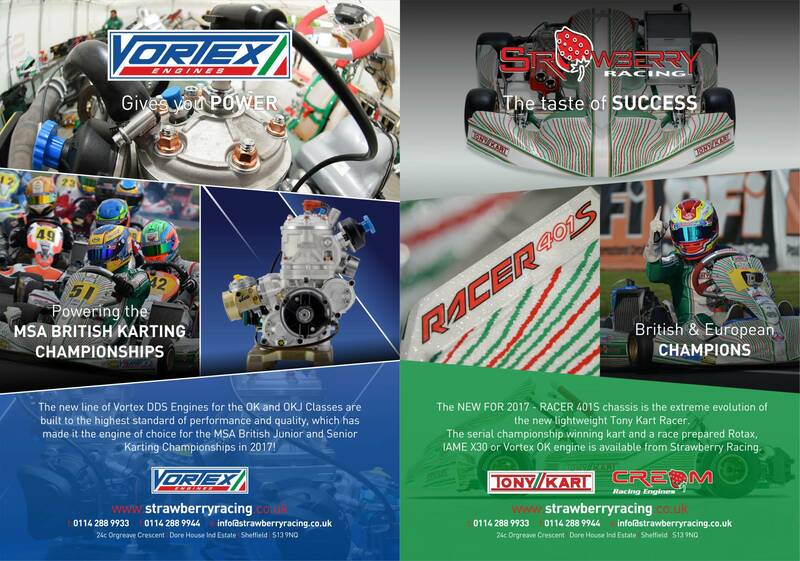 Imagery for both the Tonykart and Vortex race programme leaflets were careful selected, focusing on the best images of the kart and engines themselves, as well as including text to advertise the achievements of the kart and the success of the Vortex DDS Engine. Strawberry Racing contact information was added to the footer of both designs, allowing for easy visible contact numbers, billing addresses and email addresses for potential future contact for products and services advertised in these promotions. Both promotional adverts were used in the Cumbria Kart Club Programme, alongside the Super One Series British Karting Championship brochure. Advertising hoarding banners were requested to be displayed at Fulbeck Kart Circuit, to fit an 8m by 4m banner size. 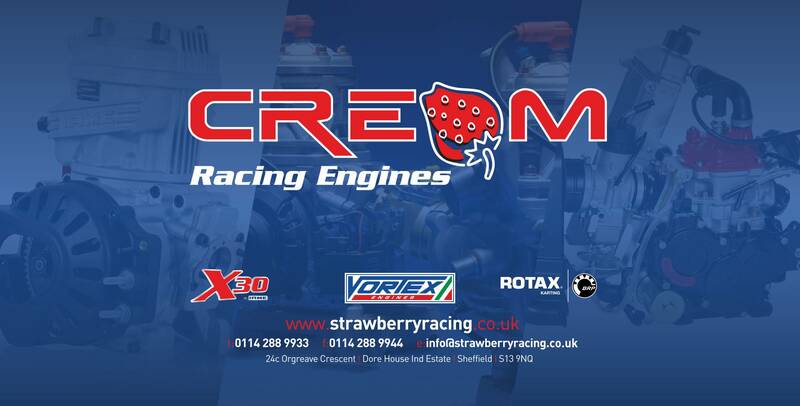 A similar design brief was provided for these, albeit with more emphasis on the Tonykart imagery on the Strawberry Racing banner, and a mainly blue banner for the advertisement of Cream Racing Engines. Similar design styles as used in the Promotional Adverts were used in the banners, as different images of the Tonykart 401S were trialled to find the best appearance on a banner from a distance. 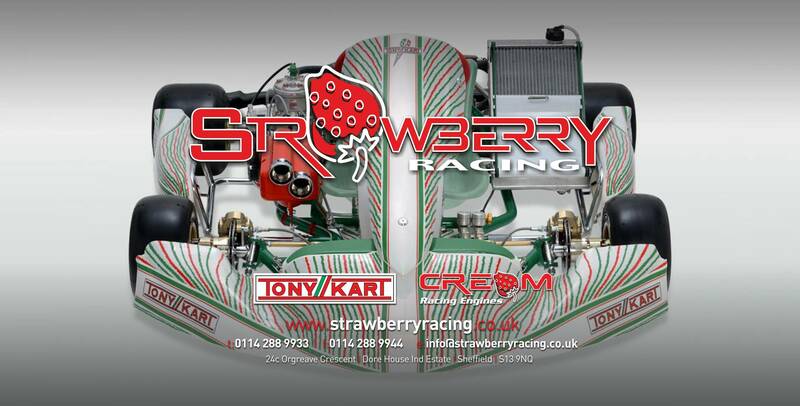 The version showcasing three different viewpoints of the karts was chosen, which were split in a diagonal rhomboid and faded into a Tonykart Green background - once again with the Strawberry Racing Logo branding and contact information. The Cream Racing Engine banner followed the same design concept path, albeit further concepts were trialled that reflected the design of the Cream Racing Engines Van Livery - including the large stripe design. 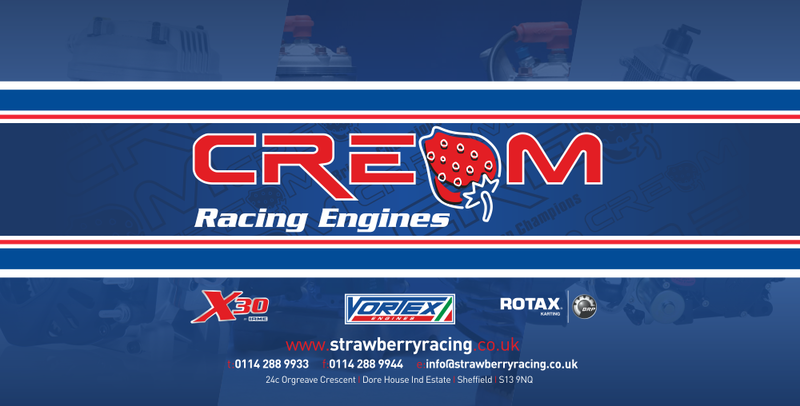 The final design in this banner including the X30, Vortex and Rotax Evo Engines, split into the diagonal section and faded over a Cream Racing Engines blue background - with the stripe design housing the Cream Racing Engines logo in the forefront of the design. All the promotional designs that were confirmed by Strawberry can be viewed within this Project post. MDM Designs can provide Advertising and Promotional Vector Graphic Design Work for Karting Teams, Manufactures and Racing Teams in all forms of motorsport disciplines.